When you’re in debt this effects more than just your bank account and can create all kinds of difficulties. For instance if you are struggling with debt then you will have a lot of difficulty getting out loans (which is bitterly ironic as this is when you are most likely to need a loan) and this covers everything from mortgages to business loans to car loans. That can then in turn effect your life in a lot of other ways as it means you can’t buy that car you wanted, you can’t move home or you can’t start that business. Here we will look at how to get a car loan even with bad credit so that you at least have transport. The first course of action you can take is to look for bad credit car loans which are designed specifically for people who have low credit. These car loan companies charge slightly more than other car loan companies, but this then means that those paying higher rates and completing their payments help them to make up for those who do not manage to make all the payments on time (which theoretically would be a higher proportion than normal). 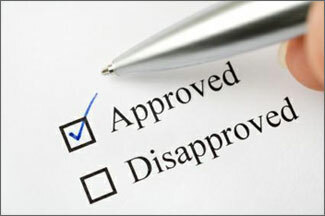 Bad credit car loans help those with bad credit to finance their vehicles. However there will still be those whose credit means they are not viable for a loan. This is where ‘guaranteed’ car loans come in, which guarantee a loan regardless of your credit rating – though you can of course expect to pay more still for these as it is high risk for the lenders. There are other strategies you can take to get your car loans too. One is to reduce the cost of the loan by choosing a less expensive vehicle such as a second hand vehicle (and then you can take out a used car loan). Likewise you can pay more towards your vehicle up front, and you may want to sell your old car in order to go towards the new cost. Make sure you shop around and look for the best rates you can find on your car loans as prices will still vary. You can also talk about changing your repayment schedule to best suit your particular situation, or consider securing your loan against your home – this way you give lenders a guarantee that they will get their payment. However don’t consider taking out secured loans unless you are certain you can repay them. If you still can’t find car loans to suit your needs, then you might need to improve your credit rating before you attempt to buy a new vehicle. There are many ways you can achieve this such as ensuring that you are not financially linked to anyone you shouldn’t be, paying off current debts and using a credit card correctly. When you are in debt why getting a car loan? You have debts and you want to do more debts? I don’t get it. First pay all your debts and they you can get a car loan, or a loan for everything else you want. But before, in my opinion, you should pay all the debts you have. I think that you should not take a car loan when you are in debts. I agree with Randomil. First you must pay your debts. Then you can get a car loan and do another debt. This way you can manage easier with your debts. Getting a car loan is not a good idea. No matter if you’re in debt or not. Only if you are going to use the car to make profit. Otherwise, there is always an alternative to a personal car. And public transportation is still popular. Getting a car loan when you’re in debt is just stupid. It may be the last thing you need. Use a bike. Use the public transportation. Rent a car when you really are in need of it. Or borrow from a friend. Getting a car loan is not a good idea when you are in debt! Having a car might be a need. But it is not really necessary. I mean you can use the public transportation system. When leaving the town, you can take the train or the plane. If you want to go for a road trip, you can be in a friend’s car. So getting a car loan is not always a good idea. Only if you know that you surely afford it. Getting a car loan when you’re in debt gets you nowhere. Trust me. I have friends who did that. This was the biggest mistake of their lives! A car is never absolutely necessary. You would better invest the money in smth. I also thought about getting a car loan, altough I’m in debt. I already have a car, but it’s quite old. I service it regularly. Anyway, I came to the conclusion that now is not the time for getting a car loan. It can wait for me to pay for my debts. I definitely do not agree with this kind of people. You do not need a car if you cannot afford it. So getting a car loan when you’re in debt is quite stupid. A personal car is just a caprice. You do not need it! My dad was thinking of getting a car loan. Unfortunately, he is in debt. Which is why the bank did not approve his loan. I really do not agree with getting a car loan when you’re in debt. What’s the point? I remember a few years back I needed a new car. Mine had died. I had no credit built up and had a hard time getting a loan. My sister finally had to cosign with me. I would never cosign for anyone. I do not want their trouble. What if they can not repay? Then you have to come up with the money.